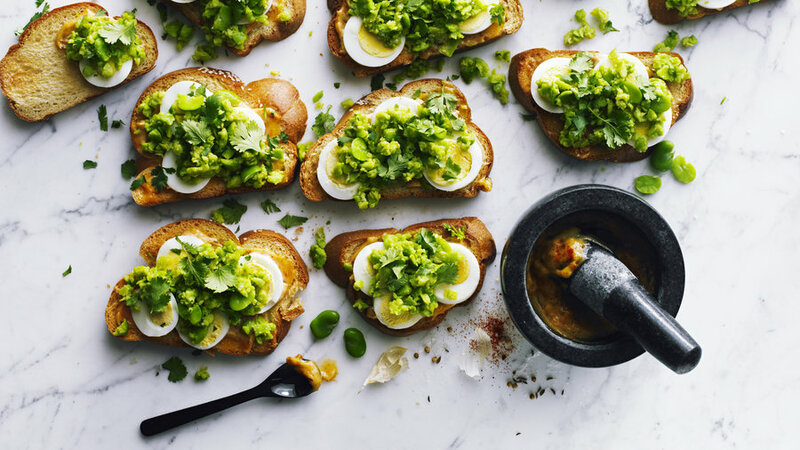 Mashed favas and an exotic mix of spices give the familiar egg salad sandwich a makeover. 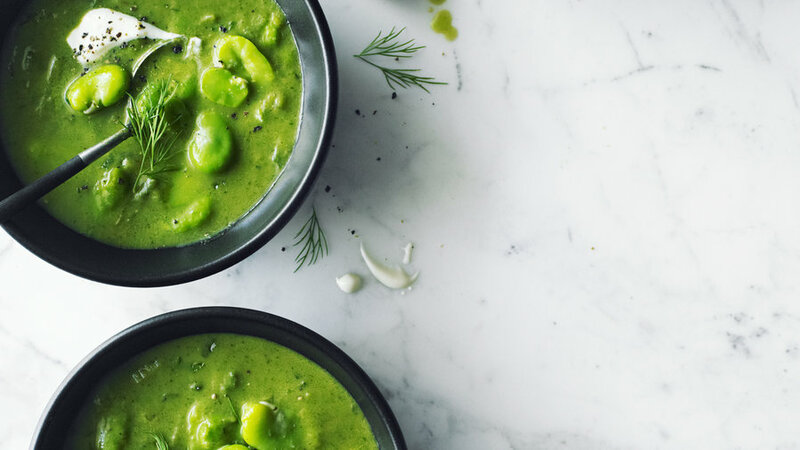 North African–cookbook author Kitty Morse introduced us to the Tunisian spice blend called tabil, which is easy to make with ingredients that may already be in your pantry. 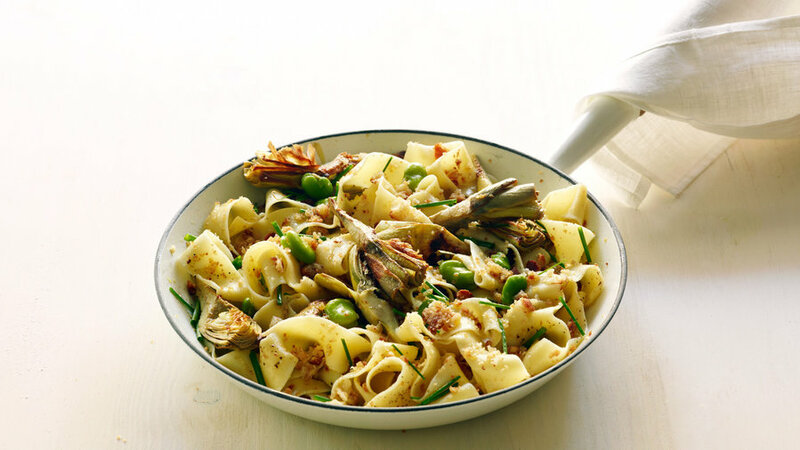 The pairing of favas and pecorino is a typical springtime dish in Rome—often you’ll see them speared on toothpicks as a snack. 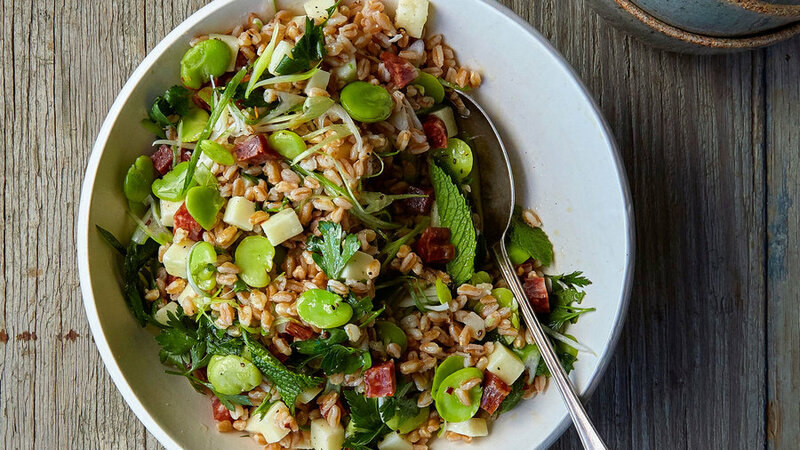 Here they're tossed with chewy farro and cubed salami to make a hearty but still springlike salad. 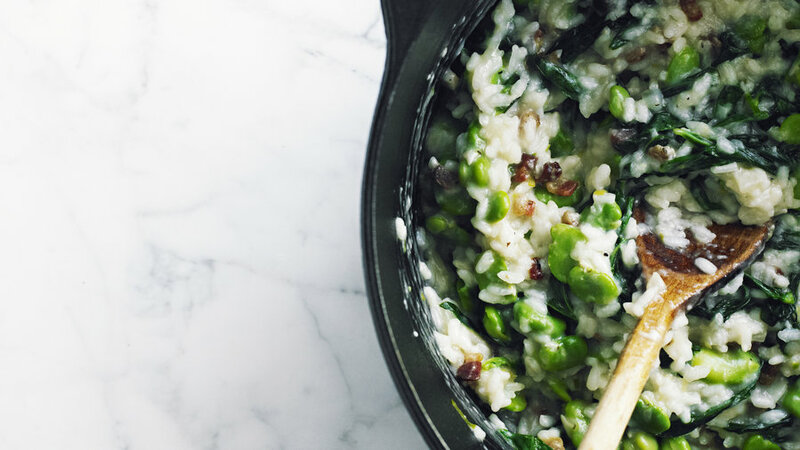 There’s just enough creamy rice to hold together the generous tumble of favas and their greens, which taste similar to spinach. 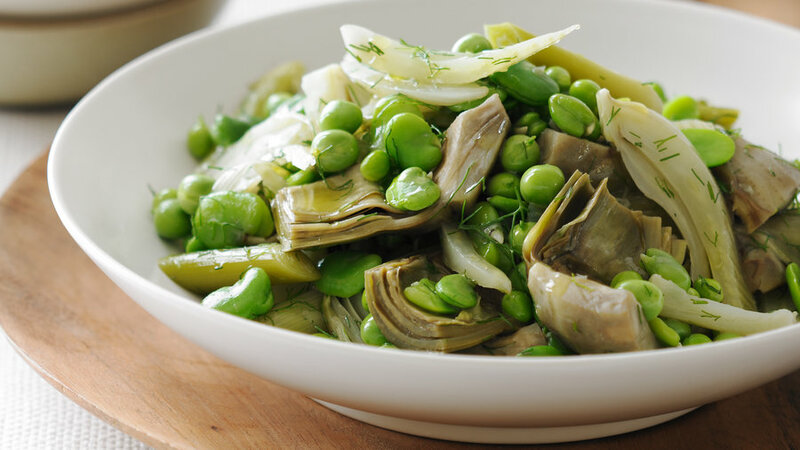 Fava beans are a culinary highlight of spring, but double-shelling them takes time. Very young favas, though, can be eaten pod and all. 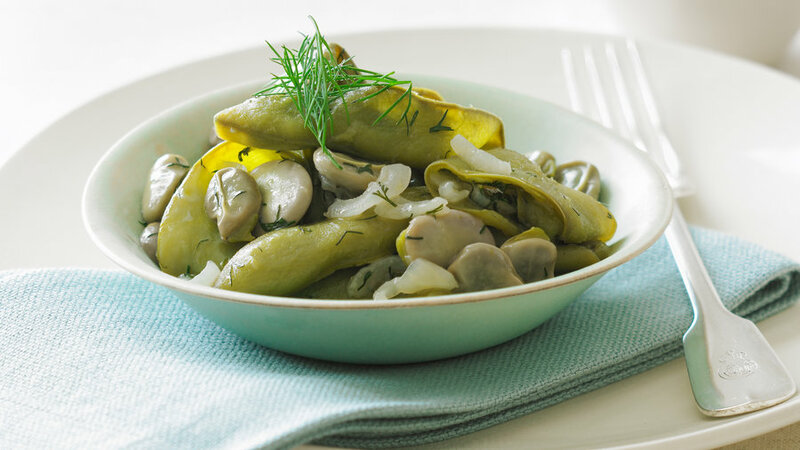 Slowly cooking young vegetables with olive oil brings out their natural sweetness. 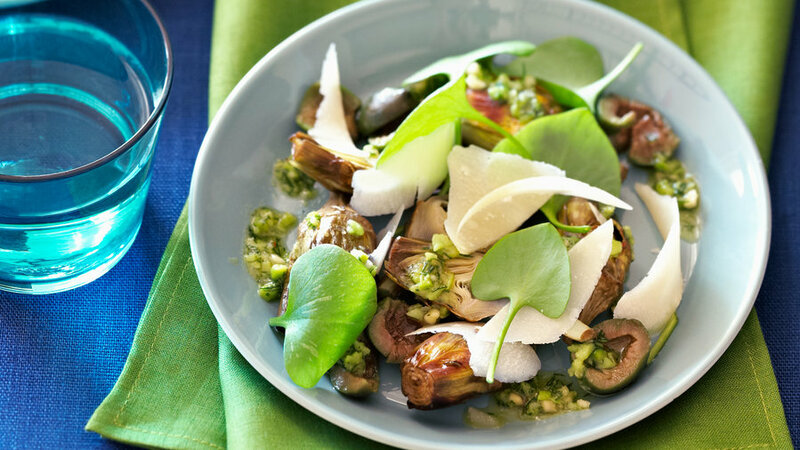 Green garlic is very young, mild garlic, picked before the cloves have formed; it resembles a green onion. It's available in spring at farmers' markets, but if you can't find it, double the green onions. 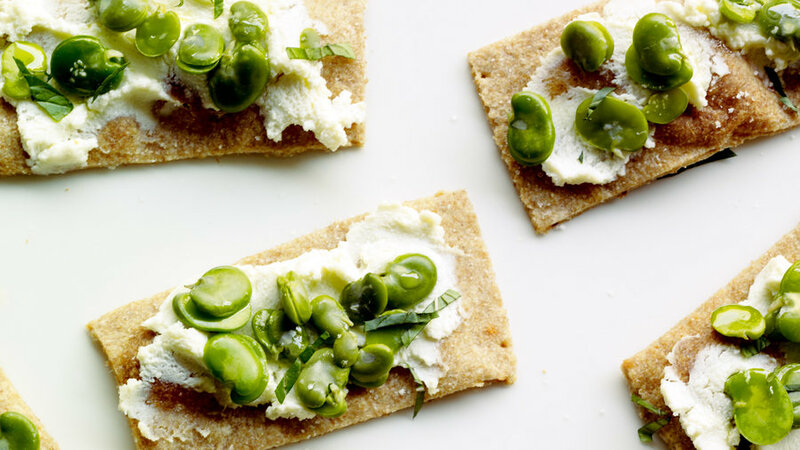 We picked the favas from our garden and placed them on fresh ricotta.